Your decision to start a family tree will take you on an interesting journey back through time. As a time traveler, your journey will begin with your life. Go back to your birth record and start to note the details of where you were born, the date, your parents full names, and be sure to include your mother’s maiden name. Next record details of places you have lived, your schooling, marriage, and children. Then begin to work back further and research your parents’ lives. (There is probably much about them that you don’t know.) Building a family tree can be a wonderful activity to share with your parents and grandparents—and if you are very lucky—a great-grandparent. Linking generations, setting each in its unique historical perspective, brings them to life again for everyone. Then look at your family’s religious records, old letters, photographs, and memorabilia. Print copies and label everything to document the source, and scan them when possible to save them digitally. Now you are well on your way to forming the branches of your family tree. What kind of dwelling did they live in? Did they move around while growing up? When and where were their relatives born? When did these relatives die, and where are they buried? Take along some of your old photos and attic treasures to jog their memories. And be sure to ask if you may see their old family records, letters, photos, and memorabilia. These documents might help you expand your search. Take photographs of their mementos, records, and photos with your camera, phone, or bring a portable scanner. Document the photos you take with names, date, and place. Listen to their family stories and make notes. Relatives often have different versions of the same story since each person remembers an event in his or her unique way, but these differences make it interesting! Share what you already know with them. Use a tape recorder or video camera if your relative feels comfortable with it—most mobile phones can make audio and/or video recordings today. Make your initial visits short with someone you are just getting to know. Always ask for permission first before you make copies and take photos, videos, or audio recordings. After collecting family information, it is important to record it correctly on forms referred to as family group sheets and pedigree or ancestor charts (download a free fillable NGS Pedigree Chart and NGS Family Group Sheet). Fillable forms let you type into them and save them digitally. Be sure to indicate a source for each fact. Your goal is to document the details fully so you can pinpoint exactly where to find the records again. Then file the information in an organized way so that you can locate each individual in your ever-expanding collection. The best way might be to create a folder for each one (either on your computer or in your file cabinet) and include old photos of them, their families, homes, and cemetery markers, plus their important documents, letters, and memorabilia. Add their stories—both those you heard as a child and those family members tell you. The best way to start your family history and build a strong tree is to learn the basics of genealogical methodology. Purchase “how-to” books. One such book is the NGS publication Paths to Your Past: A Guide to Finding Your Ancestors, 2018 Edition. Within its pages, readers learn about research techniques and sources. A great starting place! Then more in-depth is the “how-to” book, The Researcher’s Guide to American Genealogy, 4th Edition, by Val D. Greenwood. It will be another great addition to your genealogy book collection. This is a comprehensive textbook with examples of case studies. 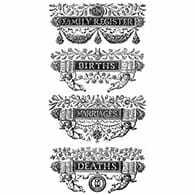 If you are an NGS Member, please take the free course that comes with your membership called Family History Skills. Next, NGS members and non-members will benefit from enrolling in NGS’s American Genealogical Studies (AGS) education program, start with the AGS: The Basics course and the AGS: Guide to Documentation and Source Citation course. Pick an individual about whom your information is incomplete. For example, if you are missing information about one of your four grandparents, start with her or him. Try to obtain death, marriage, and birth records if available. Always work backward from the known to the unknown. Most U.S. states have kept modern vital records since the beginning of the twentieth century. States that were part of the original thirteen colonies are the most likely to have pre-1880 vital records and church records available. Publications such as The International Vital Records Handbook, 7th Edition, and the booklet titled Where to Write for Vital Records provide records descriptions, addresses, and other helpful information. There is also a digital 2014 version available on the Slideshare website from the Division of Vital Records. Do a Google search for websites for each state archives to learn more about accessing vital records in a particular state. The FamilySearch Wiki also offers a state-by-state outline of where to find various records for each state. Enter the country, state, or county name in the “Search by place or topic” box or click on the map. Church and religious records for baptisms and marriages are often substituted for civil vital records before civil vital records were uniformly collected. The best way to find religious records is to search in the county where the ancestor lived. Use a search engine like Google or WorldCat and use a search term with a county and state name, plus a religious denomination, as in “Methodist church and Franklin County, NY”. Also check with a library, genealogical, or historical society where your ancestor resided for advice on where to find historical records for the religious denomination of interest. 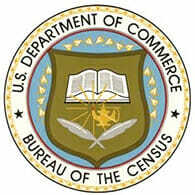 Many states collected census information from their residents (and also what is called census substitutes) before 1790 or for particular years in-between decennial federal census surveys. The FamilySearch Wiki is a good source to consult for the full complement of records available, state-by-state. The twenty-eight Research in the States guidebooks from NGS also provide excellent record sources beyond federal censuses. City directories are directories that preceded telephone books, which were organized to find people and businesses . They arose from a need for businesses to contact customers, customers to find businesses, and for residents to find one another. Listings for individuals are organized alphabetically by surname and give a home residence and often an occupation, and place of business. Sometimes a listing will include the wife’s name and older children who may have been working. City directories began to appear right after the American Revolution in larger cities and eventually spread to counties and towns. They were published yearly in most locations. By the mid-1930s they were discontinued in favor of telephone books and Yellow Pages. City directories are an excellent way to track the movements of people between census years and to separate people with the same name by using addresses and occupations as identifiers. The best source for discovering early city directories is Dorothea Spear’s Bibliography of American Directories through 1860. The Library of Congress has a full set of all copyrighted directories on microfilm or microfiche (and most directories are copyrighted). Internet Archive and the New York Public Library have been digitizing vast numbers of directories from microfilm, so check their websites for free access to digitized directories now online. Miriam J. Robbins’ free website Online Historical Directories is a growing compilation of online city directories throughout the United States. The Family History Library has a comprehensive collection, including pre-1860 directories—search the catalog by [STATE], [COUNTY], [TOWN] – DIRECTORIES or click on the state name at the bottom of their United States Directories page. Ancestry, Fold 3, and other genealogy subscription services have more limited but useful collections of city directory records. Libraries often subscribe to databases such as these and may offer additional electronic resources with city directories that are free for patrons. Consult a reference librarian locally for more resources available to you. The Handybook for Genealogists and Red Book: American State, County & Town Sources can help provide addresses. If you cannot go to a courthouse in person, search the internet. Many town or county offices have digitized at least some of their records and made them available online. Check the local historical societies and the state archives to see if older records have been transferred there. Another option is to consult digitized microfilm of courthouse records on FamilySearch.org or see if a local Family History Center still has microfilm for the needed county court records. You may also consider a visit to the Family History Library in Salt Lake City (see below). Libraries and archives with major genealogical collections are an important way to develop your family history, particularly once you have traced your ancestors back four generations or more. Such collections include compiled family histories and genealogies, local histories, and reference materials that can be extremely helpful in your research. In addition, most libraries and archives have unique collections of unpublished materials including such things as Bible records, photo and newspaper clipping files, and surname files. Your local library probably belongs to a countywide web of digital resources that you can access from home using your library bar code. Library digital web products for patrons contain many genealogical resources such as online historical newspaper collections (i.e. ProQuest, Readex, New York Times Historical Archive), Federal Census free access (Heritage Quest), biographical profiles (i.e., Who’s Who) and much more. If you cannot get to a genealogy collection or your library doesn’t have the book you want, ask if interlibrary loan (ILL) is available. The NGS Book Loan Collection, held by St. Louis (Missouri) County Library, offers interlibrary loan service to send books in the NGS collection to your local library, for your use. There are more than six thousand genealogies among the twenty thousand books in the collection, many of them circulating. This collection is open to everyone. If the book does not circulate, contact the library staff, they may be willing to copy specific information for your research needs. There are many free collections, starting with the Library of Congress newspaper collection, Chronicling America. Check Miriam J. Robbins’ state-by-state list of free United States Online Historical Newspapers. Look for local newspapers in the areas your ancestor lived. Many historical societies have preserved copies of early newspapers. Subscription databases that offer online historical newspaper collections such as Ancestry, Newspapers.com, FindMyPast, Genealogy Bank, and others, might be available at no cost if your local library has a subscription. Foreign-language newspapers can be particularly helpful because the obituaries they print often mention the village of origin of the deceased. These newspapers covered the communities they served more intimately, so obituaries tended to be far more expansive than those printed in English-language newspapers for the same person. If a particular newspaper important to your family research has not been digitized yet, it may be worthwhile to seek out the microfilm or original print copies as an alternative. Many are housed in the FamilySearch Family History Library (FHL) in Salt Lake City, Utah. Some of these vast holdings are available in digital form through the FamilySearch.org website and some on microfilm at the FHL, or the more than five thousand family history centers located throughout the United States and the world. Call your local center to get an idea of their holdings. The Family History Library in Salt Lake City is worth the trip to access their full collections in one place. It is an accessible, easy to navigate city. Family history researchers should consider joining NGS and a local society. Another less tangible benefit of NGS membership is the camaraderie that our members experience with other like-minded family historians they meet through NGS—either through online educational courses, research trips, or in person at our yearly conferences. Local society membership can be very helpful if they hold regular meetings with lectures and can give you guidance on local records. Consider joining a society for the area in which you are researching. At this point you have been working mostly on your own. You will probably benefit greatly from taking a more formal genealogy course. Also available are many, many Free Genealogy Resources. NGS has been building a repertoire of personalized learning tools so that everyone can learn in a way that suits them, and at every skill level. NGS. Build Your Skills. Build Your Family Tree. Sign up for our Upfront with NGS blog or our NGS Conference blog.